Earlier this year, I attended a legislative action day in Sacramento. I was surprised by the number of bills being proposed to deal with the drought, with many of them focused on community associations. 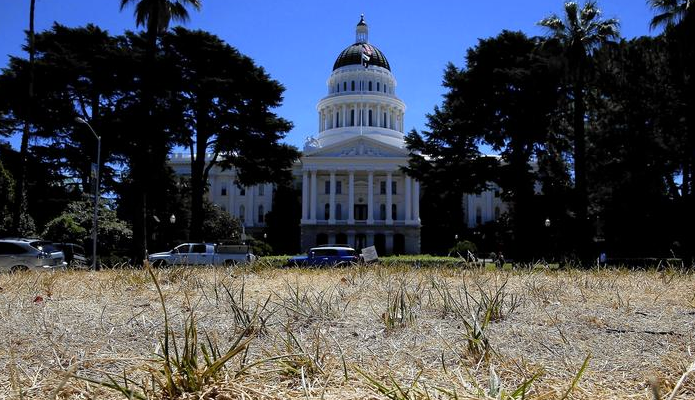 As the state of emergency with our water supply in California drags on, state and local governments continue to get more aggressive with addressing water use. They do not want us using all that much. And they do not care if an owner’s lawn turns brown. I recently attended a meeting at an association in Santa Barbara. The association’s large expanse of green grass was turning brown. Turns out that Santa Barbara has issued strong ordinances regulating the watering of lawns; the association can only water their grounds for ten minutes, once a week. And in case you had not heard, yes, the Governor declared a state of emergency as of January 17, 2014 due to drought. So, for as long as a state of emergency is in effect, California homeowner’s associations cannot fine association members for failing to water their vegetation or lawns. One of the issues that we have been addressing with legislators was the potential fire danger. We can live with a brown lawn, but what about an owner that allows the grass to grow high and then stops watering? This tall, dead grass could be a brush fire hazard. The new legislation does allow an association to compel an owner to cut down their brown grass or dead plants so it is not a fire hazard. But no fines can be levied merely because an owner has decided to stop watering their landscaping. What does this mean for past violations for which owners have been penalized with fines pursuant to notice and hearing? As long as the fine was not imposed (i.e. the notice of the board’s decision to levy the fine sent to the owner) during a state of emergency, an association should still be able to enforce the fine. However, there is no mention in the new legislation of what happens to fines that have been imposed on or after January 17, 2014 but before July 21, 2014, which is the effective date of the new subsection (c) above. It is unclear how a court would decide in such a case. We will have to wait and see. Lets all hope for lots of rain this winter. We really need the water.